Follow the link for the recipe. Bacon jello. 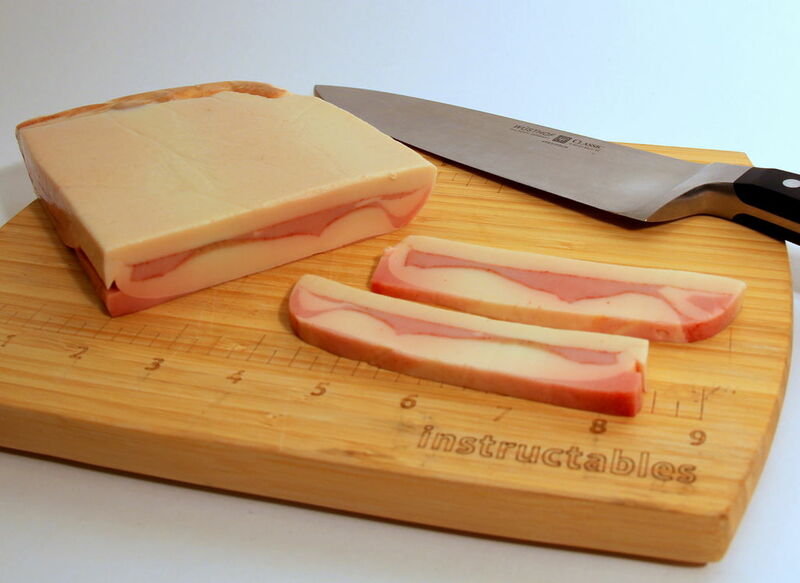 Yes, it’s bacon-flavored jello that looks like you’re slicing into a nice, thick slab of home-cured bacon. Think of it less as dessert, and more as a surprisingly edible piece of concept art. This jello has a dairy base flavored with bacon (of course! ), a mix of maple syrup and flamed and reduced Calvados, and applewood smoke.